Item # 313771 Stash Points: 2,995 (?) This is the number of points you get in The Zumiez Stash for purchasing this item. Stash points are redeemable for exclusive rewards only available to Zumiez Stash members. To redeem your points check out the rewards catalog on thestash.zumiez.com. Give your athleisure style a classic look, with the Russell Athletic Baseliner Black T-Shirt. 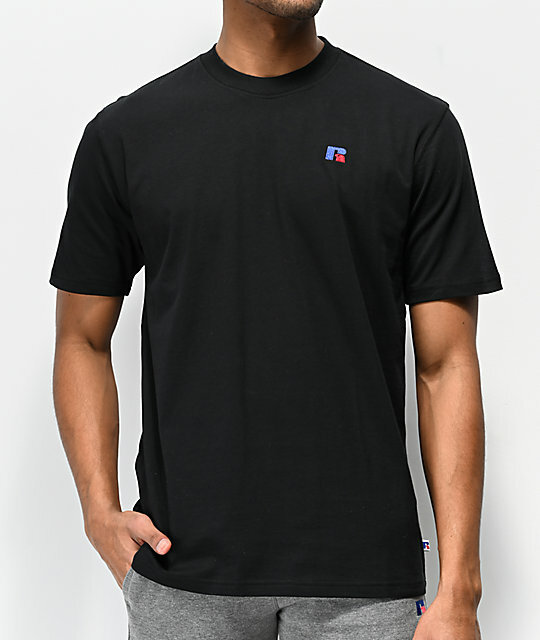 All-black throughout, this simplistic look features an embroidered red and black "R" logo at the left chest for a splash of truly world-famous branding. Baseliner Black T-Shirt from Russell Athletic. 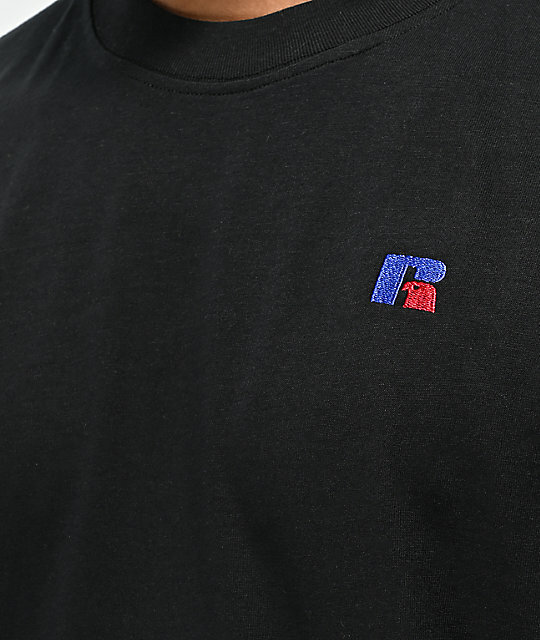 Embroidered "R" logo at the left chest in red and blue.